How are the holidays going so far? We are back up from Tipperary and try as I might, I've not had time to blog before now. But on the plus side, I've been enjoying time with the kids and getting caught up with laundry and other rock'n'roll home stuff. But I'm staying up late tonight to share my new jeans with you! Back about a year ago, I bought some Gap Forever Stretch Leggings from the Banbridge Outlet in a faded black colour. I'd been looking for a faded (but unripped) pair for a while so was delighted to find them. In a further confusing twist, because of the stretch, the sizing is not numerical. They're available in a S, M, L or XL. At the time of buying that first pair, I was heavier than I am now and bought the size M - I reckon it's about a 12-14. They always were a little loose on the waist and recently, even more so. I got it into my head that I needed to get the S the next time I was in the outlets. Well, what do you know? At the weekend, we needed a comfort stop en route back from Tipperary and it just 'happened' to coincide with Banbridge (where the outlets are) and would you believe, Gap had 40% off their jeans? Sweet. Now a further caveat, these Gap Forever Stretch Leggings aren't exactly the same as my first pair of Gap Forever Stretch Leggings. Go figure. They're a thicker denim and not as soft. They also come up smaller. I had a moment when I got home thinking they'd not close on me but they are extremely stretchy....thankfully. Colour wise, they are also different but I actually prefer this colour as it's more uniform across the legs. Sometimes random faded patches at thighs or on the bum can look unflattering. I digress but seriously, I have so much love for this jumper....every time I wear it, I get asked about it. 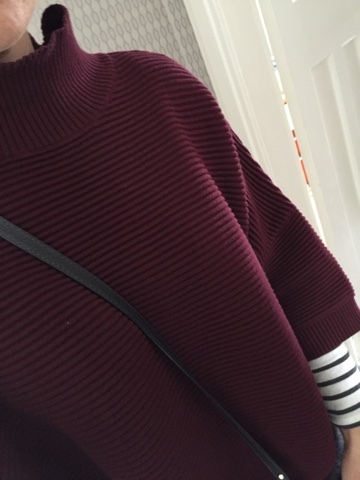 Then I was stopped at pedestrian lights the other day and a woman walked across the road wearing the exact same jumper in grey (from this link). I need it in my life! 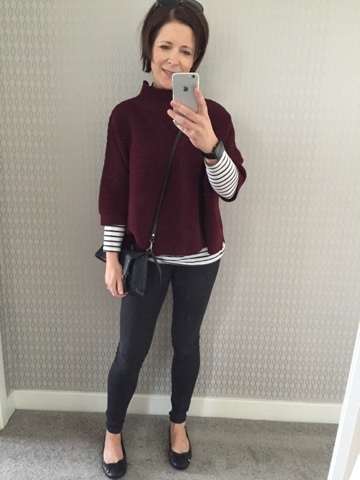 The verdict on the jeans (leggings)? Well I love them as I am a super skinny jean lover. 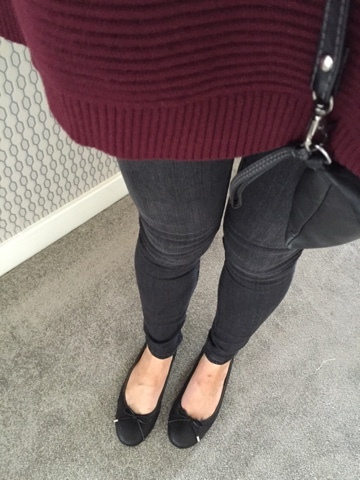 I hate baggy ankles and jeans that slip down - these don't budge one bit! But they're also comfy and don't nip or dig in. So I guess in that respect, they're more like leggings? 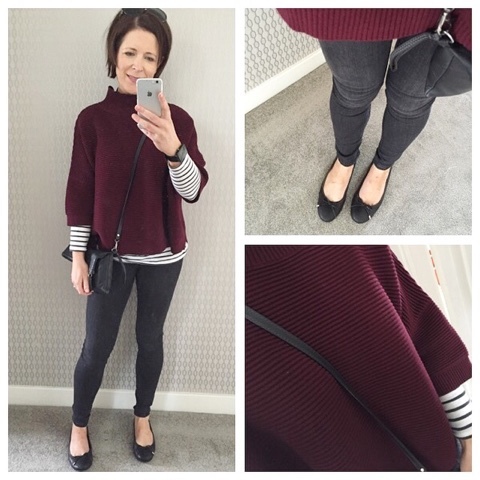 Love the look of these jeans but I have to agree with you about the jumper, it's divine! The colour is beautiful!